Informal portrait of Charles J. 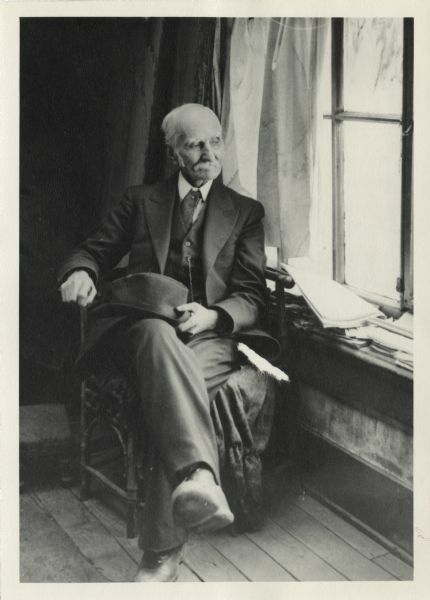 Van Schaick sitting by the window in his gallery, taken by his son Roy Van Schaick. This image appears on page 6, in the book, "People of the Big Voice," published by the Wisconsin Historical Society Press.